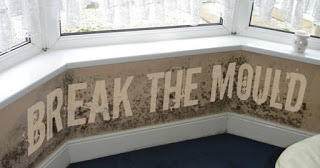 Are you suffering from Mould & Condensation problems in your rented property? Never fear! Bullock & Lees are here to help! Read our guide on how to deal with mould & condensation problems and how it is often easily preventable. Tenants are always under the impression that they are powerless to do anything about the condensation, but it is moisture generated by the tenant within the property that causes the issues. Moisture comes from cooking, bathing and in some cases drying clothes indoors which produces gallons of moisture. What we can do as an agent is educate you to take responsibility for it. Firstly, ensure that in the colder periods of the year you are running the heating for at least 3 hours in the morning, and 5 hours in the evening to give the chance for the property to dry out. We know that as the colder weather hits us, the temptation to leave the heating on and all the windows closed is there, but for prevention of mould and condensation, if possible please do try to leave a window open whilst the heating is on. This will allow the moisture to travel to the outside, as warm air will hold more moisture than cold air, effectively making it mobile and helping it drift out of the window, whilst also making your property a moisture and mould free zone! In addition to this you are encouraged to use a towel to dry off the excess moisture from cold surfaces/walls and dry this outside. Every home gets condensation at some time – usually when lots of moisture and steam are being produced – for example at bath/shower times, when a main meal is being cooked or when clothes are being washed and dried. 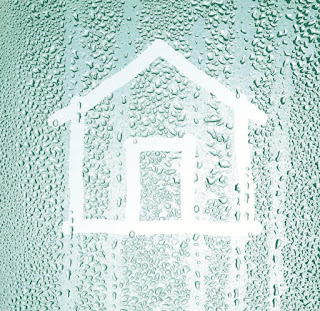 Condensation is usually at its worst during the winter. It often results in black mould growing on walls and other surfaces. Even when the property is insulated condensation will still drift onto windows, sanitary ware and mirrors as these are the coldest surfaces. We can confirm that DAMP does not occur above ground level. Condensation is more often than not caused due to lack of ventilation to the property and heating the property insufficiently. Produce less water vapour or steam in your home. Don’t let the water vapour and steam that is produced spread all round the house. 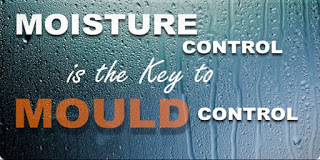 To deal with a condensation problem effectively, you will probably need to do all three and all can be done at no cost. Produce less water vapour. The amount of condensation depends on how much water vapour is in the air. Many every day activities add to the water level in your home, but their effect can be kept to a minimum. Always use the extractor fan where fitted or keep a window open when cooking. Hang washing to dry outside at all times if possible. If you use a tumble dryer make sure it’s vented to the outside, or leave a window open. Never dry washing indoors. Do not hang wet washing on radiators all round your home – doing so is very likely to cause condensation problems. Laundrettes are common in all areas and all provide drying facilities. Keep the room well ventilated when bathing and showering. Do not close the door nor switch the fan off afterwards until the room is dry. The best way to remove water vapour is by providing adequate ventilation. Nobody likes draughts but some ventilation is vital. Keep a small window ajar, or a trickle ventilator open in each occupied room to give background ventilation, but make sure your home is still secure. The best approach to heating in order to reduce condensation, assuming you have taken the other steps, is to heat your home at a low level for a long time. Keep the heating on, but set it to provide just a minimum of background heating. This will warm the property up and keep it warm so there are no cold surfaces. REMEMBER! 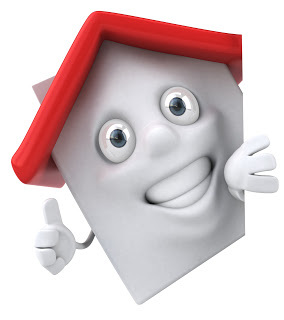 – To avoid mould and condensation keep your home well ventilated and you will have a happy home, happy tenant and a happy landlord!